Richard Kubin is an expert in the environmental compliance of electronics, design for outsourced manufacturing, and the definition and deployment of cross-enterprise processes for the design, engineering and manufacture of high-tech electronics. 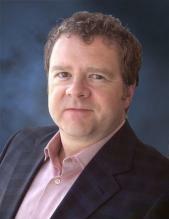 Richard has held numerous positions within industry consortia and standards bodies, including acting as chair of the IPC 2-18 Supplier Declaration Committee (responsible for the development of the IPC-1752 Material Declaration standard), and as a member of the US Technical Advisory Group to the International Electrotechnical Commission’s (IEC) Committee on the Environmental Aspects of Electronics. Richard holds a bachelors degree in mechanical engineering from the University of Victoria and holds two US Patents. What would you be willing to change to reduce your energy consumption by 98%?